Product prices and availability are accurate as of 2019-04-16 11:20:21 EDT and are subject to change. Any price and availability information displayed on http://www.amazon.com/ at the time of purchase will apply to the purchase of this product. This digital aerial TV tuner allows you to watch and record the free over-the-air TV channels at 1080p quality through antenna in North America area. This device provide digital HD TV channel outputs in HDMI, composite RCA A/V and RF output at the same time for hookup with TV monitor, tube TVs or video recorder. This digital tuner also supports TVR function for personal video recording when an USB storage device is connected. 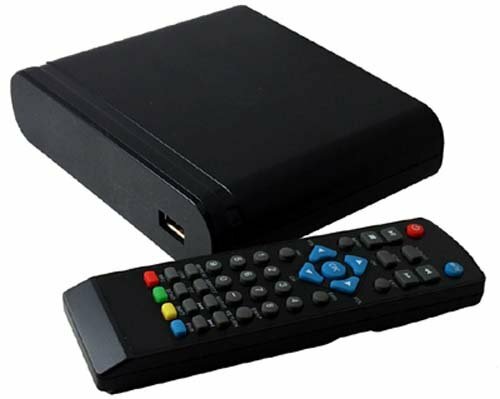 Users can do instant recording or scheduled recording of TV shows on daily/weekly basis and save the recording into external USB drive connected for playback on TV later. 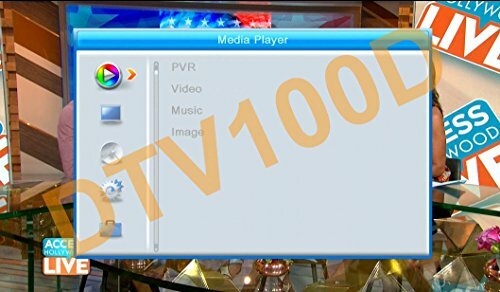 All the major TV features and functions such as recording, time-shifting, closed-captioning, Electronic Program Guide (EPG), Video/Photo/Music playback can be easily accessed from the on-screen menu or IR remote. This digital TV tuner also supports internal recording function through its USB input. The USB port supports external USB hard drive up to 3TB of storage. 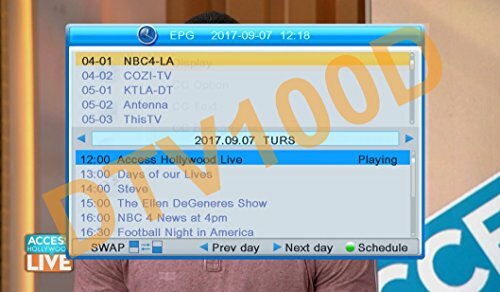 User can do instant recording or programmed recording of TV program base upon pre-set schedule and EPG info, which provides a full list of TV show schedule for users to decide what to watch and record. The time-shift function allows users to pause the live TV program during the commercial break. Once paused, the rest of TV program from that point on will be stored on the connected external USB drive temporarily. When ready to watch the skipped TV show, users can simply watch payback from where being left off. Premium digital ATSC TV tuner for receiving free over-the-air digital broadcast through antenna for North America areas. Enjoy digital TV programs on your HDTV set, projector or analog TV. Simultaneous HDMI output, composite RCA A/V output and RF output for connection with all TVs. 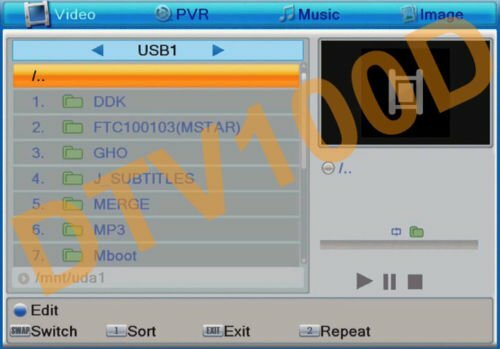 Supports DVR function for instant real-time recording and scheduled recording of selected TV channel programs and saves recording into connected USB drive for playback later. Supports time-shift function so users will never miss any part of the TV shows and easily skip the commercials. Supports closed captioning for subtitles or text on the TV screen, perfect for the hearing-impaired or silent viewing with no loud dialogues. Maximum USB drive capacity support up to 3 TB. Supports EPG (Electronic Program Guide) for program information and closed captioning. Selectable HD/SD output resolutions at 1080p, 1080i, 720, 576p, 576i, 480p, 480i. TV signal quality indicator is available from OSD menu screen. Supports Parental Control function. Supports analog RF pass-through to CH3/CH4. Supports auto channel scan and manual channel scan. Supports last channel memory after power-off or power outage. Stay tuned to the last channel after power-off or power outage event.